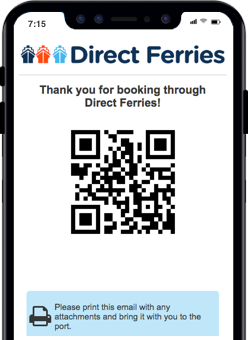 For more information, please visit our Ferries from France to Ireland page. 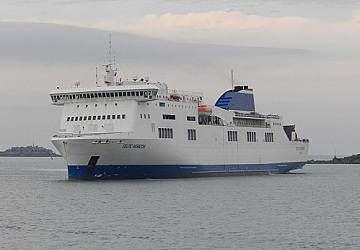 The Cherbourg Rosslare ferry route connects France with Ireland. Currently there is just the 1 ferry company operating this ferry service, Stena Line. The crossing operates up to 3 times each week with sailing durations from around 17 hours. 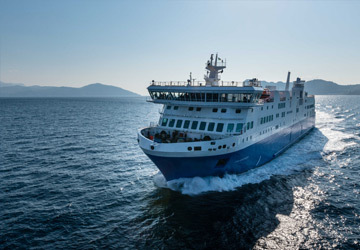 Cherbourg Rosslare sailing durations and frequency may vary from season to season so we’d advise doing a live check to get the most up to date information. Prices shown represent the average one way price paid by our customers. The most common booking on the Cherbourg Rosslare route is a car and 2 passengers. "Journey frm Cherbourg to Rosslare"
We use the Oscar Wilde quite frequently because it travels back and forward to France throughout the year. 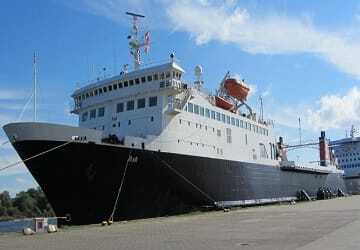 It is a fine boat with good facilities and the cabins are clean, well-equipped and comfortable. The addition of Wi-Fi on deck 7 is very welcome. All excellent from restaurant to cleaning, perfect journey. The French city and port of Cherbourg is located on the Cotentin Peninsular in the north west of France. Invaded by the Vikings in the 9th century who were instrumental in developing Cherbourg into a port, the city has a long history. In Napoleonic times the harbour was fortified in order to prevent a British naval assault on it. Underwater obstructions were sunk at intervals across the harbour entrance which were eventually replaced with piles of masonry rubble. The works began in 1784 and were not concluded until 1850, long after Napoleon's defeat at the Battle of Waterloo. There are many things to see and do in Cherbourg including the Cite de la Mer (the city of the sea) which is a museum dedicated to maritime history. The museum was opened in 2002 and is housed in the cruise terminal at Cherbourg port. Visitors to the city may also choose to take a leisurely stroll in the Jardin de la Roche Fauconniere which is a private botanical garden located in the Parc de la Fauconniere. Established in the 1870's the gardens contain roughly 3,400 specimens, many of which come from the Southern Hemisphere.